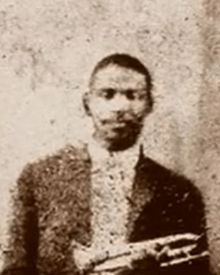 Home » blog » Who Was Buddy Bolden? Earlier this week, The Daily Music Break posted a story on the odd connection between Maroon 5 and Buddy Bolden, a founding father of jazz. We sent questions to The Syncopated Times Associate Editor Joe Bebco to find out more about Bolden. Here are his responses. Why is Buddy Bolden important? All of the New Orleans musicians who immediately followed Bolden, notably Kid Ory, King Oliver, and Louis Armstrong credited him with being the spark for the supercharged ragtime that would become New Orleans Jazz. Do you feel that the fact that he left no recordings lends to his legend? In the long run it certainly added to his legend that he left no recordings. If he had made them they would likely not sound like jazz as we understand it. 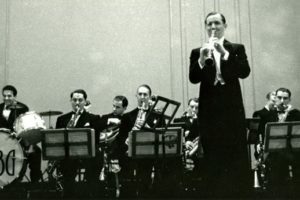 His band also played marches, schottisches, and other popular music formats of the time. Even the foxtrot arrived after he was off the scene. Most modern ears aren’t tuned to hear the excitement of his playing as people in the city would have heard it; wild and hot. Some credited him with “inventing jazz.” What did he do that was a significant advance compared to those before him? “Advanced” isn’t really the right word. People talk about jazz advancing to swing and then bop and beyond. There are technical things about the playing that are referred to by that. Bolden’s band wasn’t even a “reading band,” some members may have been able to read music but the band as a whole played by ear. They also probably only played in the two or three keys that are easiest on brass instruments. In that sense they were less advanced and polished then their main competitor, the John Robichaux Orchestra. They weren’t unique in “faking” but they may have utilized more improvisation than other bands at the time. They also played hotter, louder, and with significantly more blues elements. And audiences loved it. That was what inspired other bands in the city to follow suit. Do we have an idea of what he sounded like? 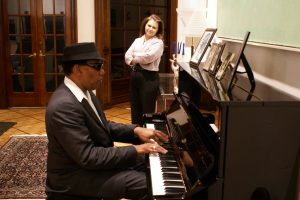 Though the Bolden Band never recorded several people who played with him went on to record later. There were also bands that became popular in the first years after his institutionalization that were directly inspired by him and solidified a New Orleans sound that was recorded in the 20s. Kid Ory, King Oliver, and Louis Armstrong all have recordings that can also be studied for an idea of his sound. Asked to describe the Bolden sound his contemporaries often conflicted with each other. Most emphasized how loud he played well a few described his cornet style as being sweet and mellow. It may have been both depending on the engagement. 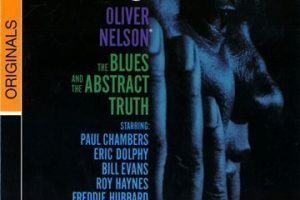 His band was described as the first to play “blues for dancing” and engage elements of church rhythms into their performance. The period they inspired, just before the solidification of jazz as we understand it around 1917, has been called “Free Ragtime.” They took the syncopations that were popular nationwide and swung them harder than anyone else was, freeing themselves of the dots on a page.